What makes a Jew a Jew? In other words, what is it that distinguishes the descendants of Abraham, Isaac and Jacob from all other peoples of the world? It is their covenantal relationship with the King of the Universe, the Creator of all things. I recently read “The Jewishness of Jesus: Relevant or Essential?”. And I’ve got to tell you, I was very frustrated by the baseless conclusions of the author. In fact, I scrawled notes all over the place, highlighting this, underlining that. But in the end, I could hear God whisper, “Take a deep breath and look at what is going on.” I then realized that the writer, educated as he may be, simply did not have the foundation he needed to accurately consider his subject matter. Here is the foundation I believe he missed: The ‘Jewishness’ of the people of Israel comes from God. As they follow His covenant, His Torah, their covenant lifestyle sets them apart from all other people of the world. God chose them to live differently. He gave them a set of rules to live by. This set of rules calls them to holiness. And it is this holy lifestyle that testifies to His holiness. Now, I need to clarify here that I am not talking simply about ethnicity, but about those who take their covenantal relationship with God seriously. So what makes them look different? – The Sabbath is kept on the day God said to keep it. – It is not a day just to do whatever you want, but a day to rest and honor God. A day to be kept holy/sanctified/set apart. – Their standard of what to eat and what not to eat comes from God and His instructions in the Bible. When Jesus came, He was completely Torah observant. He taught us that the covenant is based on love for God and love for man. The example of His life shows us that the covenant – God’s Torah – teaches us how to live out that love. 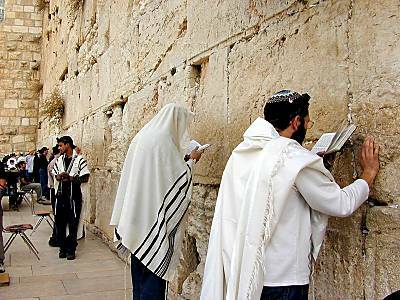 This is what makes Jesus Jewish – walking out the love of God for man by His covenantal obedience to the Torah of God. How Could They Grow Cold in the Land of Plenty?